We are at bcIndia 2014! 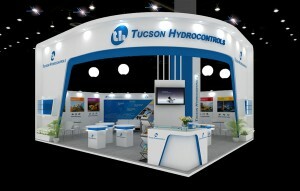 | Tucson Hydrocontrols Pvt. Ltd.
We are at bcIndia 2014! Tucson Hydrocontrols Private Limited will be at stall H7-A34 at the bcIndia 2014 Expo in Greater Noida, India. On showcase would be all our product lines concerning the Mobile Hydraulics sector along with our latest products for the Earth Moving & Construction Equipment, Mining, Agriculture, Material Handling, Utility Vehicle and Processing Industries. Also with us are our co-exhibitors in manufacturing, United Cast Bar (UCB), UK. We will be having our entire team at hand for any queries, demos or circuit troubleshooting you may need. For more information, you can log on to the bcIndia 2014 website here to register as a user and here to get directions to the venue.